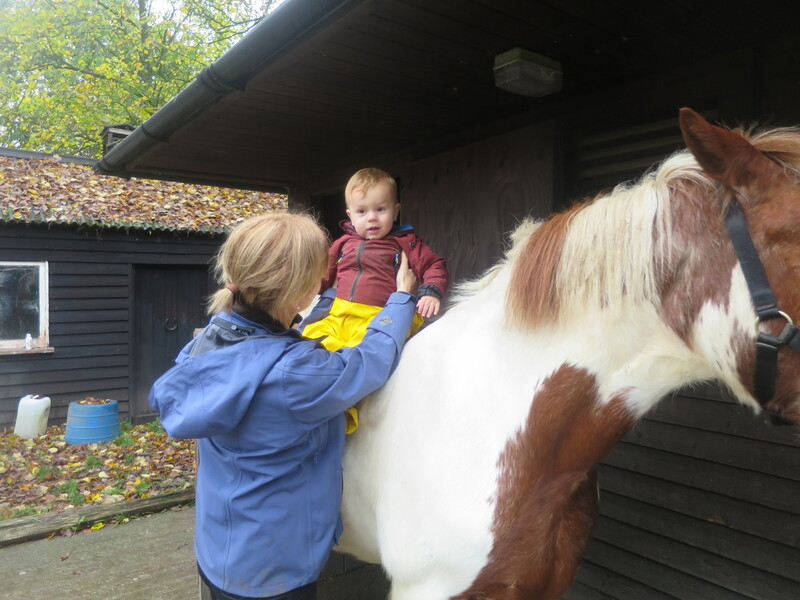 Posted on November 10, 2015 November 16, 2015 by LucyPosted in Family Life, OutdoorsTagged Animals, Leyton Jubilee Park, Playing in the rain, rainy days, rural, smallholding, walks, waterproof trousers, weekend. Next Next post: How Do You Measure Success as a Parent? 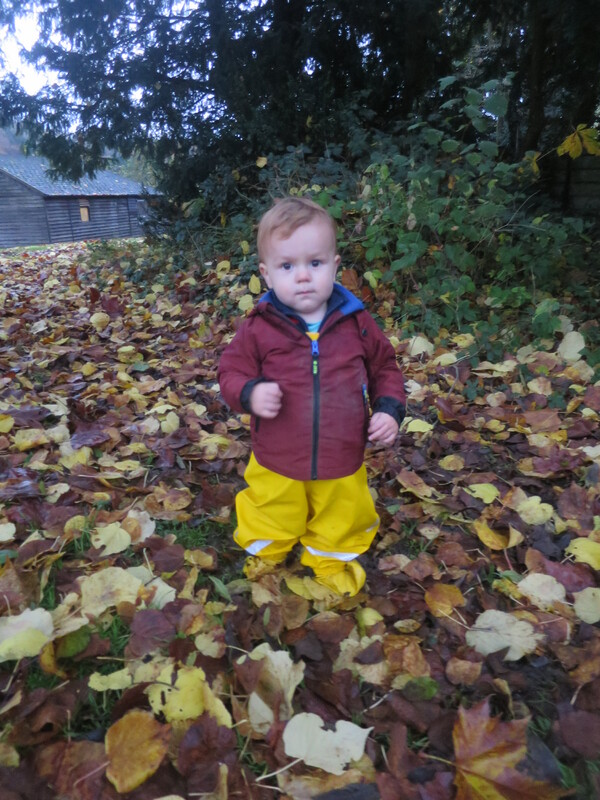 Those little trousers are so cute! Essential too with the weather we’ve had this winter so far! Sounds like a brilliant weekend! 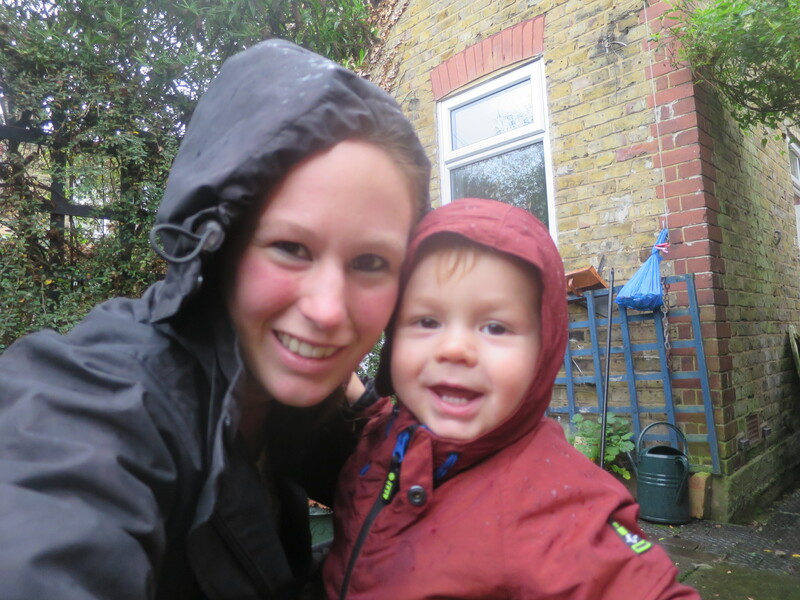 I think it’s so important (though not always easy) to get out and about even when the weather is rubbish. 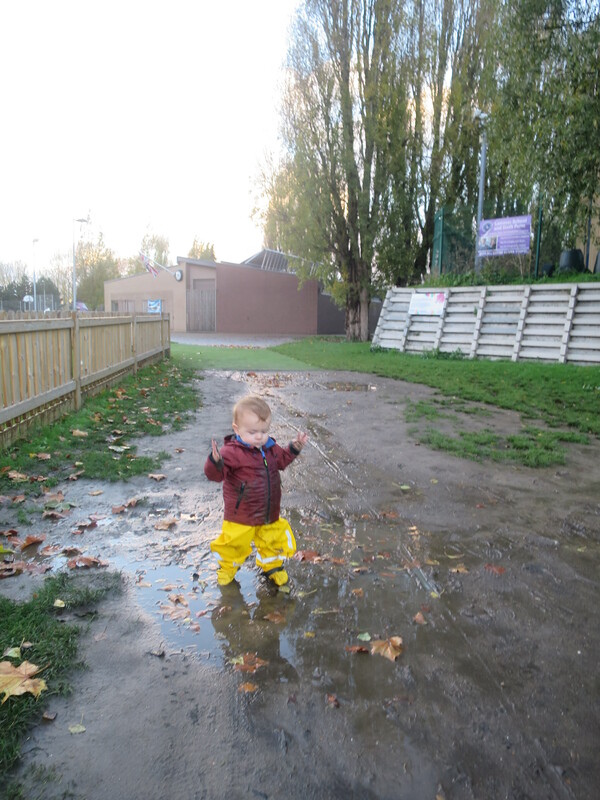 My kids don’t seem to mind the rain and I’ve invested in a puddle suit for my toddler so she can run around with her big sis! Lovely photos. 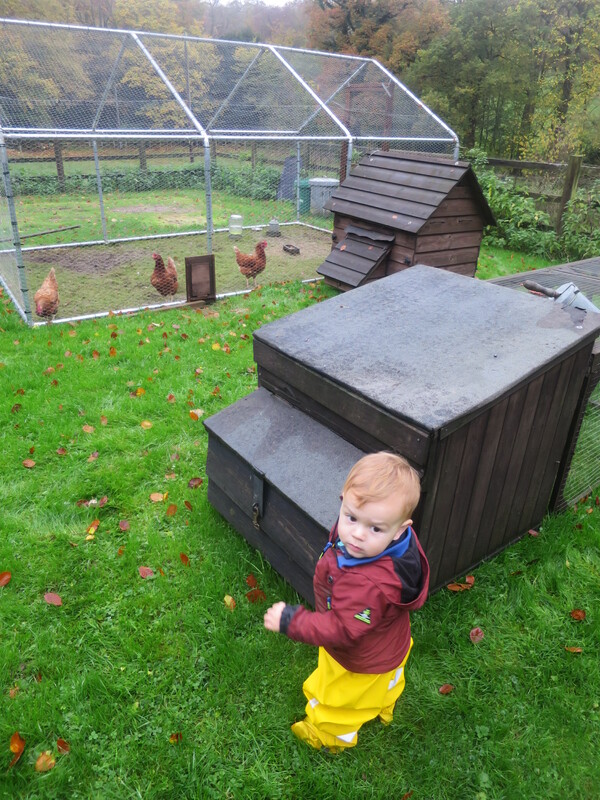 Waterproofs are always a must-have item especially on farms, it gives kids the free-reign to do what they please without you having to carry around so many items of spare clothes! 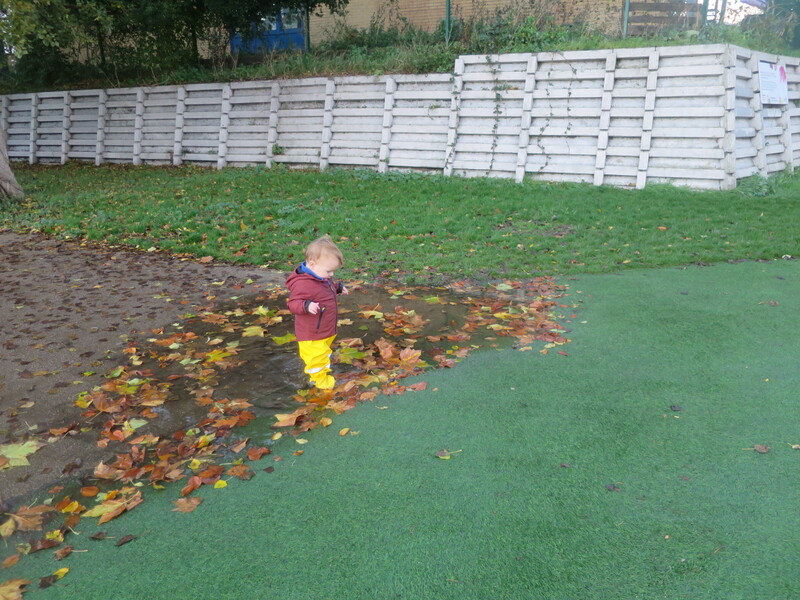 Tom looks like he’s having a blast running around the park trying out his new waterproof trousers. 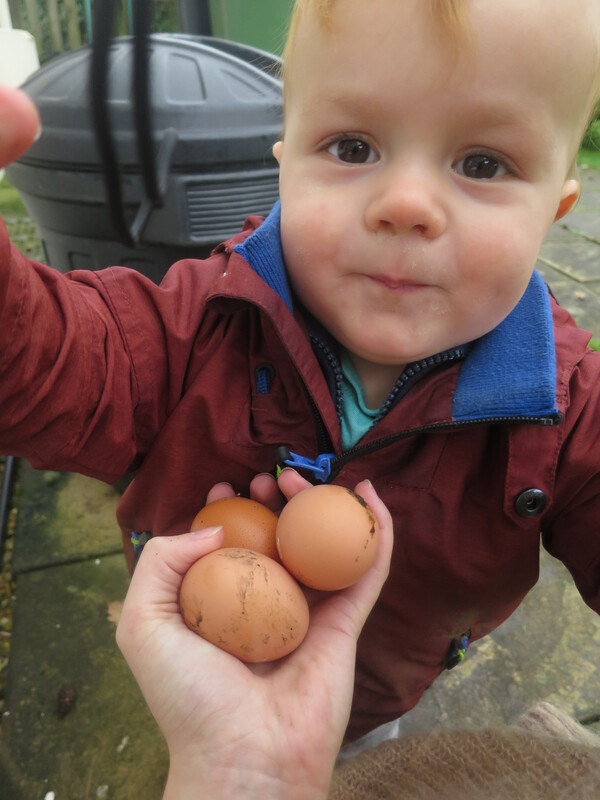 It’s great that you went to the farm too, I’m sure Tom enjoys getting some hands-on experience too! Thanks for linking up with Country Kids. 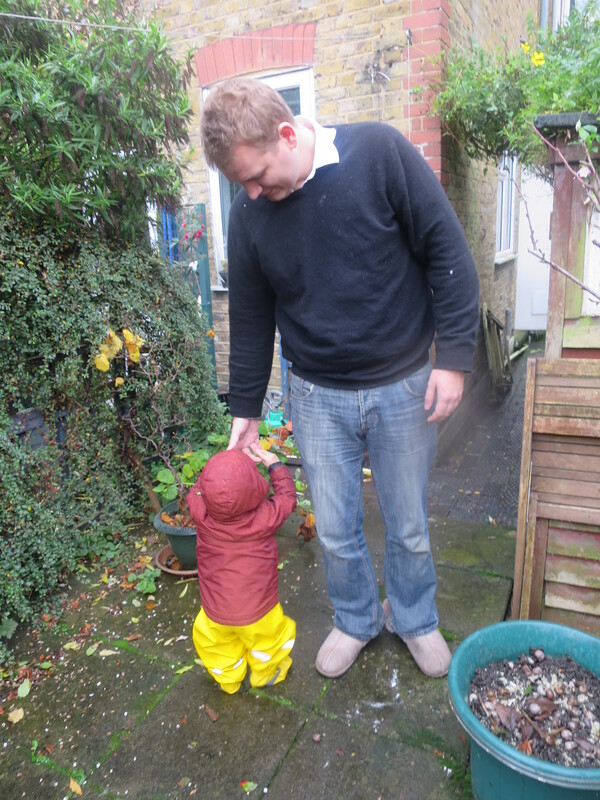 I know – definitely considering the need for a new waterproof jacket myself with all this time in the rain! Aww, what a lovely weekend! 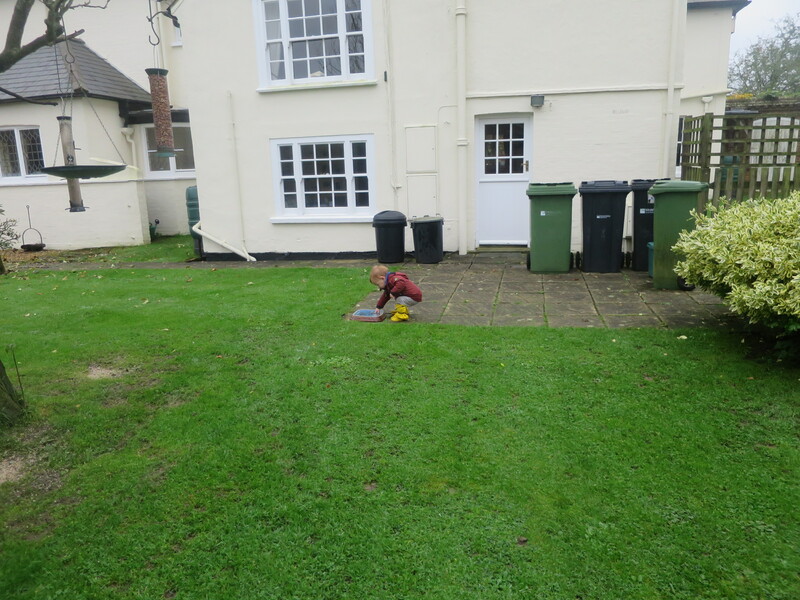 Laughing at the slippers on in the rain though! 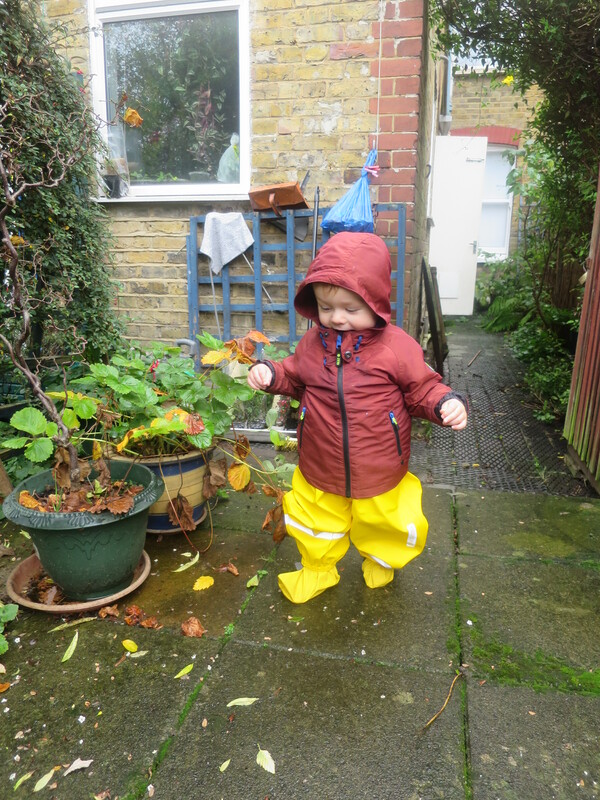 The waterproofs look great and he certainly looks pleased with himself! 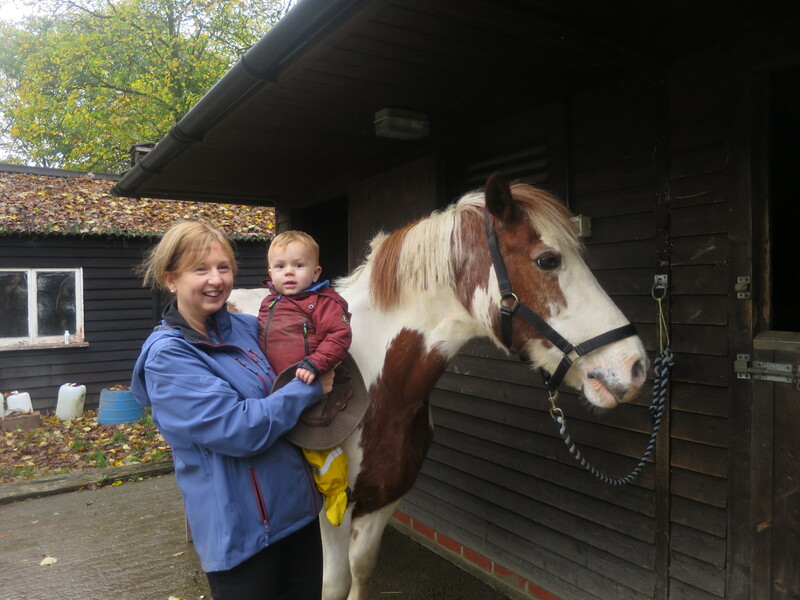 Fab that you could visit your mums friends small holding, must have been fantastic to explore.